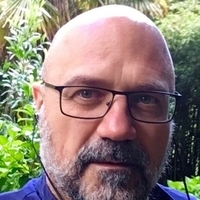 Luciano Rezzolla, Professor is Chair of Theoretical Astrophysics and Director at the Institute for Theoretical Physics (ITP). He received his PhD in Astrophysics at the SISSA in Trieste, Italy in 1997. After a number of years at the university of Illinois at Urbana-Champaign, he moved back to SISSA for a tenured position. Formerly an Associate Professor at SISSA and Director of the Computing Center there, in 2006 he moved to the Max-Planck Institute for Gravitational Physics in Potsdam as Head of the numerical-relativity group. In 2013 he moved to Frankfurt and was awarded an ERC Synergy Grant to perform theoretical and observational studies on the black hole at the center of the Galaxy and is the recipient of the 2017 Karl Schwarzschild Prize from the Walter Greiner Foundation. His main research topics are the physics and astrophysics of compact objects, such as black holes and neutron stars, which he investigates by means of numerical simulations performed on supercomputers. Together with his collaborators, he has developed some of the most sophisticated codes in numerical relativity and is the author of a well-known book in relativistic hydrodynamics.